Business Lunch Catering in Chichester. 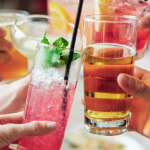 A typical business lunch is traditionally pretty boring, whether it be shop bought sandwiches or microwaved samosas, onion bhajis or an array of scotch eggs and other nibbles. But it really doesn’t have to be that way. In fact, Baffin’s Farm Catering provide business lunch catering in Chichester with an amazing choice of options to fill you up, impress your staff and any VIP guests you may have. 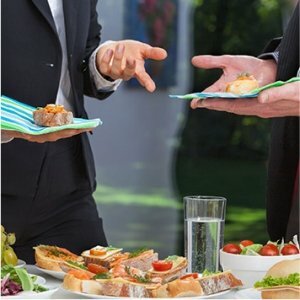 Our wide choice of menus allows you to choose what is best for your business lunch, from delicious hot fork menus to freshly made sandwich platters, all delivered directly to your workplace. And when you consider the costs, we are highly competitive as to having to arrange, fetch and prepare your own, for instance, our Finger Buffets are from as little as £4.00 per head! Our business lunch catering in Chichester is not just limited to lunchtimes, we can provide food at any time of the working day for you. So if you have an early morning training session or meeting our breakfast menu’s are the ideal choice and again starting from as little as £4.00 per head for the perfect workplace breakfast. 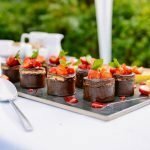 So, whether it is a training session in the workplace, a special works meeting or business celebration, even entertaining and feeding those all important clients, opting for our business lunch catering packages is the perfect way of ensuring good quality, fresh food is served without the hassle. Choose the Perfect Business Lunch for You. Our business catering services are available from 10 people up to 150. Perfect for the smallest or largest of meetings, we can even offer catering for your corporate events and provide food as well as service throughout the day should you so wish. You can combine, mix and match or if you don’t see what you are looking for, we are more than happy to provide a personal, customised catering service for your business meeting or corporate event. All our business lunch options are served with plates and serviettes where applicable, so one less thing to worry about, letting you get on with your working day. To find out more about our business lunch catering in Chichester and our corporate event catering services, contact us today on 0782 515 6825. 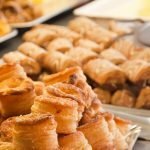 Alternatively, fill out our contact form at https://baffins-farm-catering.co.uk/contact/ and we will get right back to you.